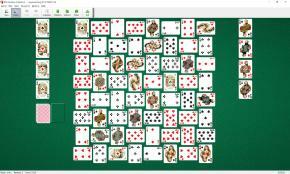 Japanese Rug Solitaire uses 104 cards (2 decks). An Ace and a King of each suit are removed from the deck to form the foundation piles. 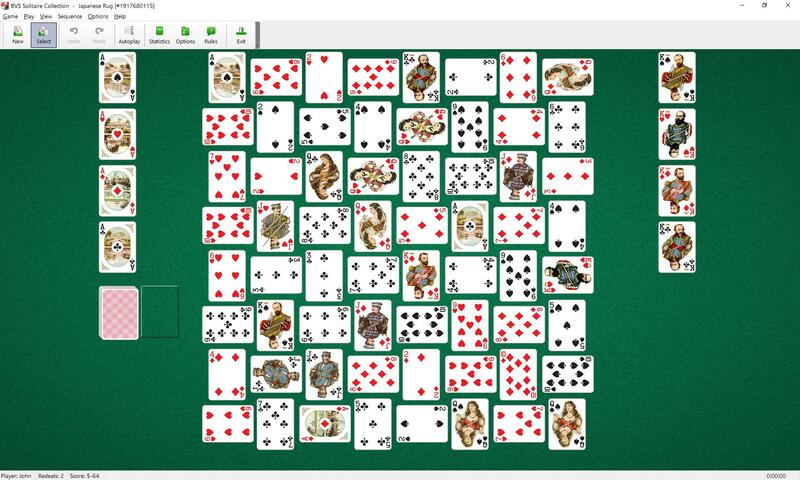 64 cards are dealt face up in eight rows of eight cards each, in alternating orientation. The first card is dealt vertically, the second horizontally etc. This 8x8 square forms the tableau. When you have made all the moves initially available, begin turning over cards from the stock to the waste pile. Japanese Rug is similar to Crazy Quilt. It allows one more redeal than Crazy Quilt to give you a better chance of winning.